Oculus VR has introduced its new Oculus Rift S virtual reality PC-powered headset. The new head mounted display (HMD) features an inside-out tracking and does not require any external sensors. In a generational update, it has a higher-resolution screen when compared to the original Oculus Rift. The new unit will ship this Spring. Co-designed by Oculus VR and Lenovo, the Oculus Rift S is a natural evolution (not a major upgrade) of the original HMD that improves it in almost every aspect, including quality of VR experience, a more convenient tracking, and even better ergonomics. 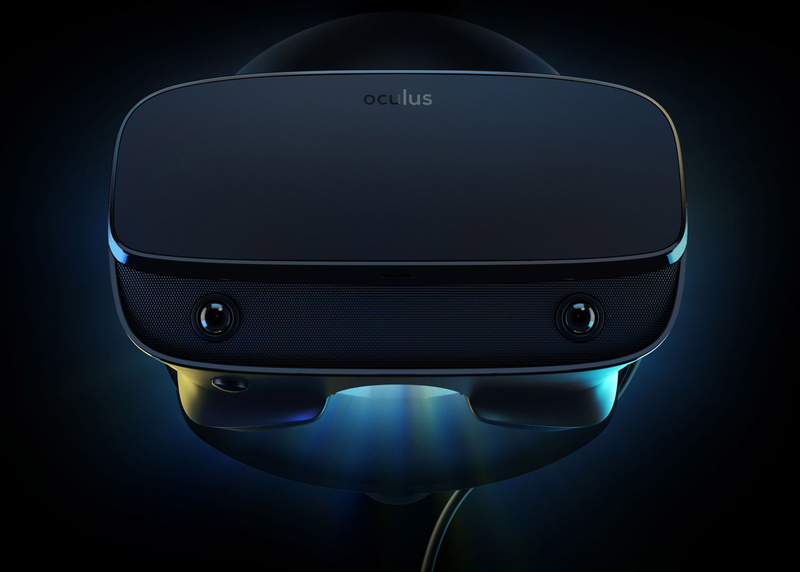 The original Oculus Rift and the Oculus Rift S will share the same core platform, enabling owners of both to access VR content developed for either HMD. In fact, even PC requirements for both headsets are the same. 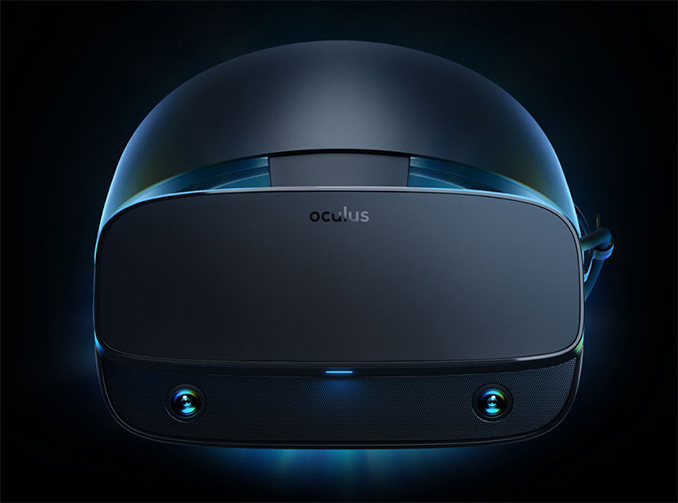 The Oculus Rift S VR headset is equipped with a brand-new display featuring a higher pixel density than before as well as an all-new optics with improved Fresnel lenses for more vivid colors. The company does not disclose resolution of the new HMD officially, but there are claims that the device uses a 5.5-inch display panel with a 2560×1440 (538 ppi, 1280×1440 per eye) resolution and an 80 Hz refresh rate, which is also found inside the Oculus Go. As for audio, the unit has an integrated near-ear speakers in addition to a headphone jack. The new headset also comes with a built-in inside-out 6-degree-of-freedom (6DoF) Oculus Insight positional tracking (designed for the Oculus Quest) and therefore does not need any external sensors like the original Oculus Rift. Apart from internal sensors, the HMD has five inside-out tracking sensors to track the new Touch controllers and let users observe their surroundings without taking off the HMD. Oculus VR intends to start selling the Oculus Rift S VR headset this spring at a price of $399. The company does not specify the exact launch date, but the wait should not be too long. Nope. You can maybe power one 60 Hz display in 4k with one card that costs $1500. But not 2 90 Hz ones. The tracking may not be as bad as you think. I get excellent tracking on my Samsung Odyssey+, except if my hands are behind me, and some early hands-on tests indicate Oculus' inside-out tracking may be even better. In the long run, I think inside-out tracking with the assistance of in-controller sensors is going to be the way to go. Most people don't have a room to dedicate to VR, and inside-out tracking is far more accessible. It'll only get better, and a larer user base is good for current users, too.